. Published on Wednesday, August 17, 2016 . For the span of the roughly two weeks the Olympics takes place, there’s a comfortable distraction from the rest of the world. Though brief, you become oblivious to all the other happenings of the world. Your mind is afforded momentary solace from all the tragedies and realness of the world around you. After months of news media filling our peripherals with images of police violence, gun violence, frenzied political conventions and futile celebrity feuds, the universe is surely all deserving of this short-term respite. What exactly is it about the Olympics that evokes feelings of unity otherwise not prevalent during the other non-Olympic days of the year? The answer is simply that the power of the Olympics transcends sports. 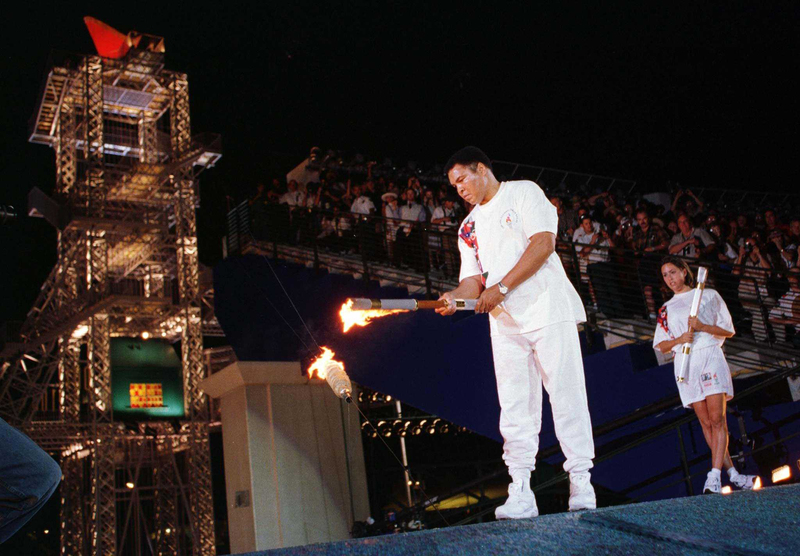 Muhammad Ali lights the Olympic torch during the 1996 Summer Olympics in Atlanta. Via crizic.com. During the 1996 Summer Olympics, for example, boxing champion Muhammad Ali—dealing with Parkinson’s disease—lit the Olympic cauldron during Opening Ceremony and it was one of the most iconic moments in Olympic history. Prior to this prolific event, Ali faced heavy criticism during the 1960s for refusing to fight in the Vietnam war. He was then convicted of draft evasion, endured a prison sentence and faced a ban from boxing for three years. His conviction was overturned, but the backlash was very much real. But suddenly, during this quiet moment of Olympic history of Ali lighting the torch—hands trembling from his Parkinson’s—it was as if the entire world forgot about the ugliness during the ’60s of Ali’s ostracization for refusing to fight the controversial war. In that moment, there was no Ali who was a so-called “disgrace”, but an Ali who was the greatest there ever was. Cody Miller, Michael Phelps and Ryan Murphy at the 2016 Rio Olympics shortly after Team USA wins gold during the 4x100m medley relay. Via FINA. Another example is Olympic swimmer Michael Phelps, the most decorated athlete in Olympic history—boasting 23 gold medals and 28 medals overall. Phelps raced his last race in the 4x100m medley relay with Ryan Murphy, Nathan Adrian and Cody Miller on Aug. 13 and for many, it served as an emotional and triumphant finish to the athlete’s Olympic career. From DUI arrests to his stint in rehab, Phelps’ ability to overcome these obstacles showed fans that anything was possible; and in those final moments of the relay coming to a close, the crowds roared and it was as if all the troubles Phelps’ had faced had dissipated and the only moment that mattered was the now. During that record time of 3 minutes and 27.95 seconds, the only place the entire country found themselves was in the pool as history was being made. Kerri Strug during the 1996 Summer Olympics in Atlanta. Via nydailynews.com. 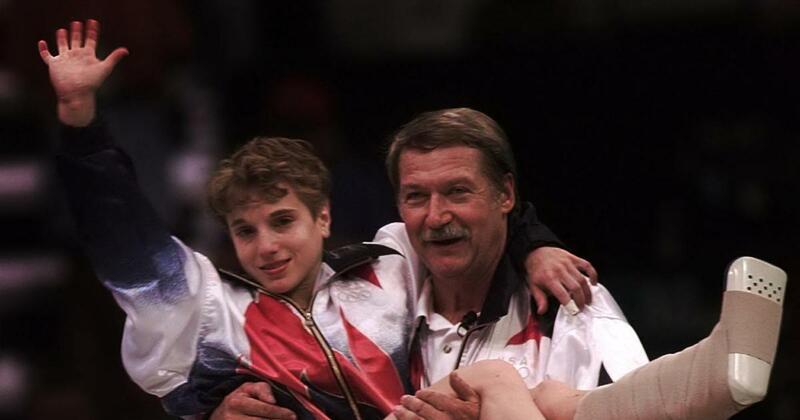 Another iconic moment was when gymnast Kerri Strug broke her ankle during the 1996 Summer Olympics in Atlanta—yet secured Team USA’s Magnificent Seven the gold medal after performing a vault routine with torn ligaments—the first, in fact, gold medal for the U.S. women’s gymnastics. As her coach carried her to a stretcher, the crowd erupted in roars as they chanted her name. One could only imagine what the crowd was feeling as Strug sprinted toward the vault with a torn ankle—it was a unique moment forever frozen in time as the world quietly watched in awe. What all of these moments taught us—whether quietly watched or triumphantly roared on— is that the power of the Olympics transcends so much more than just sports. The power of the Olympics is rooted in moments of courage, excellence and adversities that make up the elements of being human. The world is so submerged in these victorious, awe-inspiring moments that everything else seems trivial; and if that isn’t beautiful, I don’t know what is. 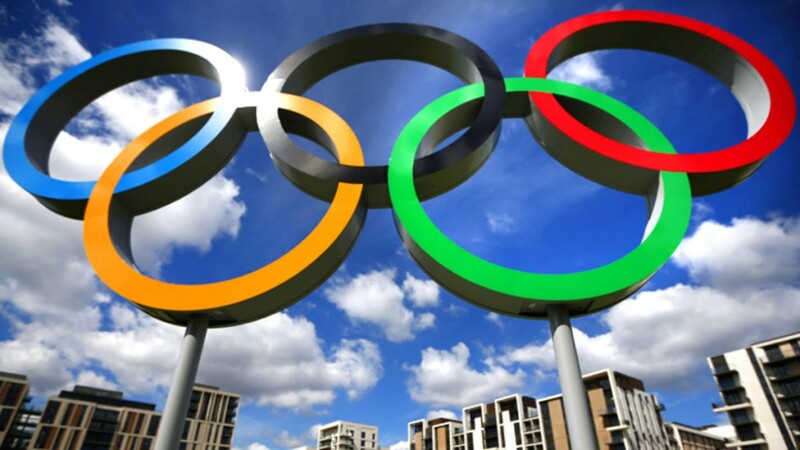 What do the Olympics signify for you? What are you looking forward to this year in Rio? Share with us using the hashtag #CampusCropChat on Facebook, Twitter or Instagram, and be sure to follow us on Snapchat @ASICPP. Visit The Campus Crop homepage for more Olympic-themed stories.